What information should your labels provide? The information your labels are legally required to provide depends on the sector and product. Food and drink labels, for example, may need to cover everything from best-before or use-by dates, to ingredients and countries of origin (you can find government guidance on food and drink labelling here). Pharmaceutical labelling, meanwhile, is approved by the Medicines and Healthcare Products Regulatory Agency. This essential information should be your starting point. Design; what will your labels look like? Labels aren’t just practical; they’re also an important marketing tool, conveying key messages about a company and its product. If possible, work with a design agency; they will develop an overall concept that ties in with your marketing strategy, using graphics, colour and text to communicate your brand-identity and USPs. Or, if you are designing labels yourself, think carefully about these elements – from colours and their connotations, to the ease with which a typeface can be read. The finished product should appeal to your customers and set you apart from the competition. Material is another key design consideration, reflecting a brand’s identity and values. Producing premium gin? You should be able to opt for a higher-quality label stock, which will be covered by the unit cost of your product. Bottling all-natural hand creams? Consider using paper with a stripped-back, organic feel. Labelling is also an opportunity for you to improve your business’ green credentials, exploring recycled and sustainable alternatives. Just be careful not to get carried away; ultimately, your product will dictate the kind of material you use. 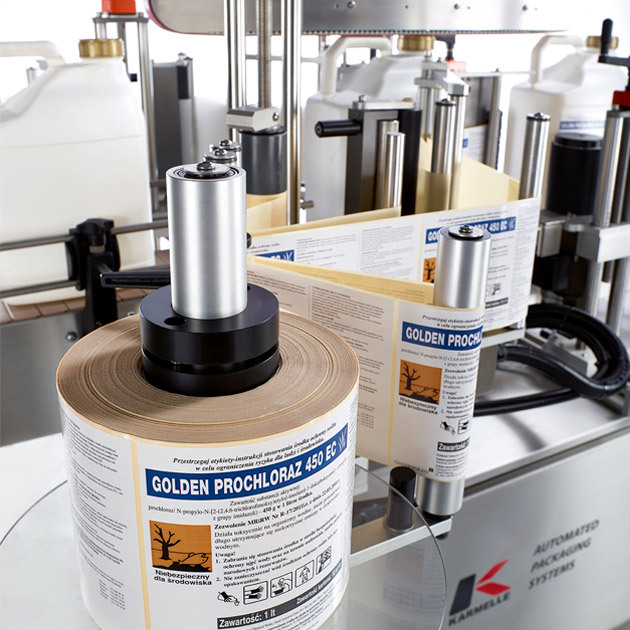 Oils require grease-resistant paper, while labels for beverages may need to be suitable for low temperatures and damp surfaces. And, although clear labels look effective, you will need to ensure that your containers are dust-free before applying them. Striking the right balance between practicality and aesthetic appeal is key. Which adhesive should you opt for? Common and inexpensive, permanent adhesive can only be removed by solvents. It is suitable for a wide range of materials and surfaces. After applying a semi-permanent label, you can remove and reposition it for several days. Eventually, it sets hard, and can only be removed using solvents. Freezer adhesive can survive extreme cold, securing labels at sub-zero temperatures. Labels affixed to a surface using peelable adhesive can be removed and repositioned without leaving a residue. 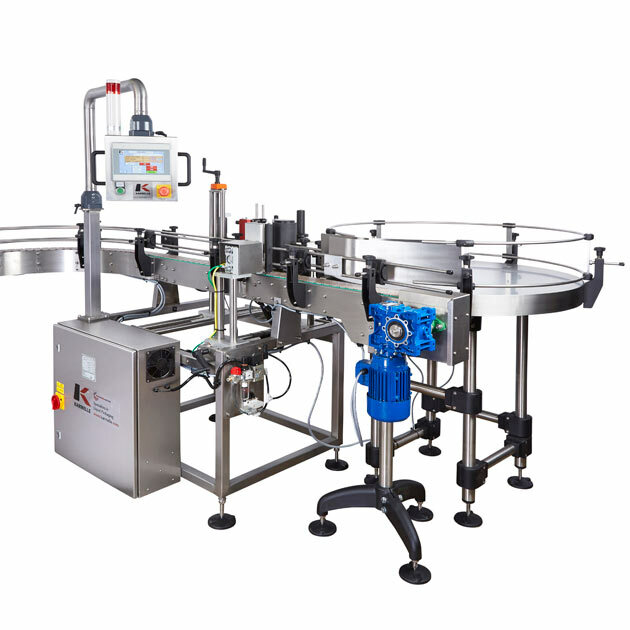 What happens if you want to automate the labelling process? When it comes to design, it’s worth considering the labelling process itself. 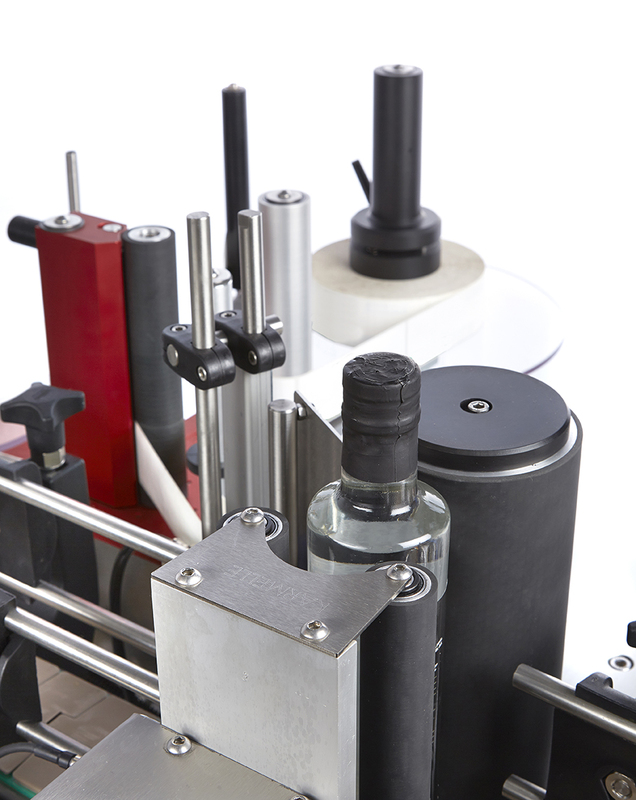 How will it change if you need to scale-up production – and will your labels be compatible? An elaborately-shaped sticker might be easy to apply by hand, but pose a problem if you decide to automate the operation. Read more about one of Karmelle’s specialist labelling projects here. With careful planning, creative thinking and expert advice, you should be able to design a practical label that communicates your brand’s core values. Have a question about labels, or the labelling process? Contact our team on +44(0)1484 533356; we’re always happy to chat!